 Mountain Sanctuary B&B voted #22 in TripAdvisor’s Top 25 Travellers’ Choice Award for B&B/Inns in Australia. We say it every year, but can you believe Christmas is just around the corner?! We all know the burden of present buying can dampen the festive spirit, so why not email (stay@mountainsanctuary.com.au) or call us (07 5545 3297) now and arrange a personalised Mountain Sanctuary Gift Certificate for someone special? You know a luxury getaway will put you in first place for the best Christmas present of 2015, so contact us now to arrange yours. Merry Christmas! Congratulations to our recent Facebook competition winners, who have all scored $100 of Mountain Sanctuary credit! To see the full list of winners, check out the 500 Reasons post on our Facebook page. To ensure you know about all of our competitions, best offers and latest news, be sure to like our Facebook page and visit every once in a while. It could really pay off! A couple of weeks ago, we had the privilege of attending 100% hOPE’s Annual Charity Dinner at the Robina Community Centre. It was a great night for a great cause. Along with many other businesses, Mountain Sanctuary donated an item for auction – a free night away. After keeping a close eye on the bids throughout the night, we voted ourselves as the most popular item, with a new page needed to continue the bidding war that erupted! More importantly, the event raised over $20,000 towards the first children’s home at Hope Village in Uganda. A big congratulations to Kate and the 100% hOPE team for pulling off another quality event that will change the lives of many orphaned Ugandan children. If you would like to be part of the ongoing campaign to help them raise the last $12,000 needed for the home, click here to donate online now. We are so excited to announce that we are partnering with Belvedere Restaurant on Main for our Weekend Romance Package! We could not have hoped for a more romantic location for our guests to experience. The site was first opened as “Belvedere Cafe” in 1924 and has been home to many successful eateries ever since. The current licensee – Mario Avegnano – is an Italian-born qualified pastry chef, crafting his skills in Rome (ITA), Miama (USA), New Zealand and his five Australian restaurants. You can taste his passion and experience throughout the menu, which includes homemade gnocci and lasagne, woodfired pizzas and quality Italian wines. The ambience inside the restaurant is second-to-none. The candlelit dining area is filled with rustic Italian decor and heated by the giant brick pizza oven. Smells from the kitchen fill the restaurant and will leave you wanting more, no matter how much you order. Whether you’re lucky enough to be one of our Weekend Romance Package guests or simply visiting the mountain for the day, make sure you give Mario a visit and say hi from us.